can you share your planned agenda? Is anyone doing this over Christmas, by the way? I'm doing PHX in WTP from DUB for £575, which is in TP run territory (just) at £2.88/TP. OTP-PHX seems tailor made for you. OTP-LHR-PHX would get you over the line as long as you split the journey on the east coast at least once. If you're feeling brave (they're known for being difficult to post) LHR-AMM-BKK is about £1,500 during the summer on RJ. That would get you 560 and there are no positioning flights. It (mostly) doesn't matter when they post - they'll still be credited to the year when you fly. I'd recommend PHL as being relatively easy to change and good timings to PHX, although I had a bad experience with immigration there a few years ago (just very slow). JFK is not too bad, actually but if on BA metal you will need to do a landside terminal transfer. Is there a later LAX/JFK that day? I know there are some nearer midnight on some days of the week. Alternatively look for an earlier PHX/LAX. On your return are you planning for a day in HEL? In theory OTP/LHR/JFK/PHX return earns 720TPs return. 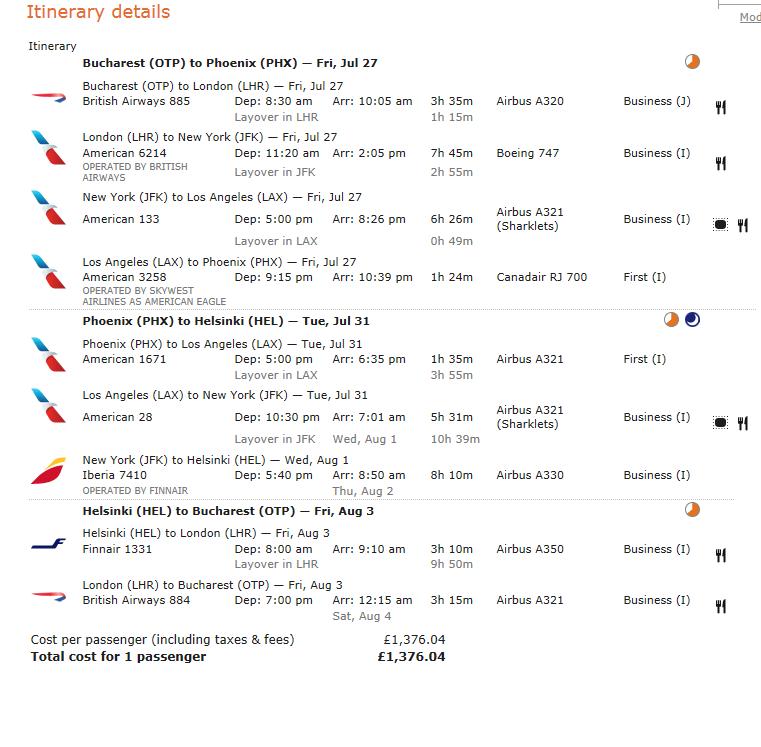 You could even do that one way and a direct PHX/LHR on the return. 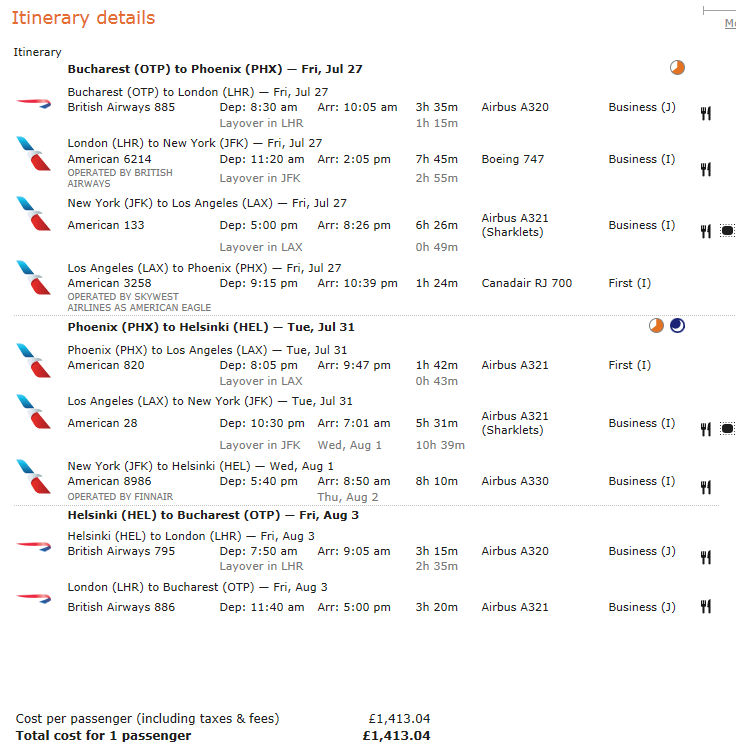 Or do OTP/LHR/JFK/LAX/PHX for 800TPs return. You could even drop the final sector and save on the positioning flight home and still earn 720TPs. Am I wrong to think that a missed connection in LAX, with no other flights to JFK same day, should means an overnight in LAX and being rebooked on one of the first two LAX-JFK the next morning? I would expect you to be rebooked and hopefully there would be room, but the morning flights might be more popular giving the time difference. Although AA do a lot of standby upgrades at the gate. Not sure about accommodation. I would like to think so but don’t expect AA are as generous in this regard than EU airlines. I did the exact same connection a couple of months ago and had no trouble whatsoever. In fact I was even able to very quickly visit the flagship lounge at LAX! !